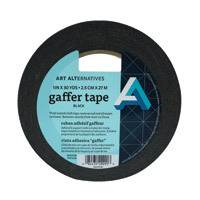 This strong, vinyl, pressure sensitive tape is used by professionals in the film industry, but is also suitable for a wide range of crafts including bookbinding, framing and displays. Available in 30 yd. rolls.